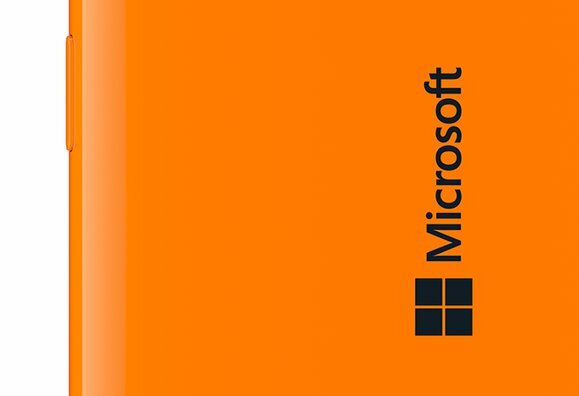 After the Nokia France Facebook page tipped Microsoft’s branding plans earlier this week, Microsoft made if officially official: The company’s future smartphones will be called Microsoft Lumia, dumping the Nokia moniker. Along with its announcement, Microsoft also posted an image of what the new branding will look like (above and below). Instead of the Nokia brand on the rear of the device, Microsoft’s name along with the Windows logo will appear in bold lettering. The impact on you at home: Although the names of the phones are changing, Microsoft’s commitment to current Lumia owners is not. During its announcement on Friday, Microsoft went out of its way to assure current users that the company will continue to support older Nokia-branded Lumia devices. In 2012, during the transition from Windows Phone 7 to Windows Phone 8, Microsoft said all future Windows Phones would be supported for at least 18 months with new updates. The end of the Nokia brand on Microsoft-owned phones has been in the works for some time. In April, Microsoft rumor monger Nawzil said via Twitter that the Windows Phone maker only had an 18-month license for the Nokia brand on smartphones. Shortly thereafter, Microsoft device chief Stephen Elop said during a public Q&A that Nokia branded smartphones would not be around for much longer. Microsoft’s Nokia acquisition closed six months ago, and the company is understandably wasting no time in separating the Lumia brand from Nokia—a company that still exists in a different form. The Windows Phone brand itself will be subsumed by the upcoming Windows 10, as well. Microsoft Lumia Windows phone in the works? Even though the Nokia brand is disappearing from smartphones, Microsoft will continue to use the name on the few feature phones the company still produces.